The crickets are a creepy little creature which can make your night sleepless. Cricket chirping is very irritating and annoying at night. When crickets are small in number they are harmless. But if they start reproduction and increase their population then they can damage your clothes, furniture, paper, or even walls. In this article, you will learn about simple home remedies to get rid of crickets naturally fast. Once your house is clean from cricket you can sleep in peace. There are many types of crickets but below four types are very common. What Does A Cricket Look Like? A true cricket is like a grasshopper and belongs to the Gryllidae family. Mainly crickets are black or dark brown in color. They have six legs, in which four is used to walk and two back long legs are used for long jump. Crickets also have two antennae on their head which is known as feelers. These antennae are used for smelling and touching things. Cricket size may vary from .3 inch to 1 inch in length. Only make crickets chirps and make an annoying sound. 1 How Long Do Crickets Live? 2.1 Why do You Have Crickets in House? Many people wonder how long a cricket can live but it depends on many factors like species and environment. Few species of cricket can last up to two years if the condition is perfect for them. At warm places, they can survive for one year. Under the unfavorable condition, a cricket lasts for few weeks. Crickets also reproduce in large number. A male cricket takes a few minutes to mate with female cricket. Crickets can produce a very irritating sound which can disturb your sleep. They can also damage your paper, cloths and can scare your children. They are the ugly creature and you can get rid of them by using natural home remedies. Best way to keep your house safe from crickets and grasshoppers is to fix all the cracks in your house. To prevent the house from crickets you need to seal your house properly because they can enter from the smallest crack. 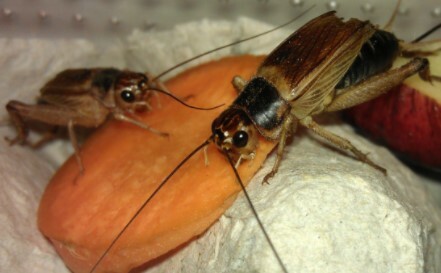 Crickets come to your house for food and shelter. You need to check and close all the window and doors properly. Water pipe should be well sealed as well. Molasses is a very efficient home remedy to kill crickets. You just need to find where crickets are dropping in your house. That you can find by hearing their chirping. 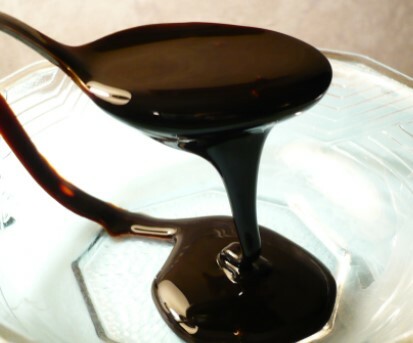 Now take a jar half filled with water and add 2-3 tablespoons of molasses in it. Mix molasses in water properly and place this jar where crickets are dropping in your house. Crickets will be attracted towards jar and they drown in it. You can use more than one jar if you have a large number of crickets. Use this remedy in the night because crickets are more active in the night time. To remove eggs you can use High-Efficiency Particulate Air (HEPA) vacuum cleaner. It can pull the cricket eggs from carpet and other areas in the house. Now take a plastic container and fill it with vacuum contains. Sealed the container and throw it away from the house. You can also use crickets killing spray which can also kill their eggs. You can use a pitfall trap to catch crickets. This trap has a hole and fills it with soapy water to kill crickets. Please pitfall trap near the dark area, window, and doors or where you know crickets are dropping. One of the simple home remedy to protect your house form crickets. Soap is present in every house which is used for cleaning and washing. But soap can also help to clean cricket from your house. 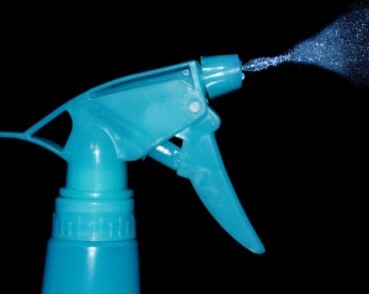 Take a spray bottle, fill with water and add half piece of soap in it. Mix soap in water properly. Now spray with this mixture on crickets infested area. The soap blubber will damage the cells of crickets. Another way to keep your house protected from cricket is let predator live in your house. Keep lizards or spiders in your house. They feed on crickets and can be very beneficial to get rid of cricket. This is one of the best ways to protect your house from crickets. Crickets are attracted to the smell of thrash. So keep your dustbin empty all the time and keep it cover to prevent crickets from the house. Never leave your thrash open. Keep your garden clean to get rid of crickets outside. Crickets are attracted towards the warm and moist environment. If you have long grass in the garden which make a perfect environment for crickets. So trim your garden grass time to time. You can also use pesticide to kill crickets in the garden. How do You Make a Cricket be Quiet? Crickets make very annoying sound and can make your night horrible. To make cricket silence you can perform a simple trick. You need to close all the exit so cricket cannot escape from the room. Now switch on the air conditioner and make the room cold enough to freeze cricket. Cricket like warm environment so if you keep room temperature low which can stop crickets movement and their chirping. Now you can catch the cricket easily and throw them out of the room. The sticky traps are mainly used to catch rats but they are equally effective to catch crickets. You can place sticky traps around the corner, nearby the window or door, and anywhere crickets are entering your house. For bait, you can use cornmeal and place it on the sticky traps. Sticky traps are one of the safe methods to protect your house from crickets. Many species of crickets are attracted to your traditional bright light. So to get rid of crickets you need to change your house lighting. You can use sodium vapor lamps or LED light as crickets are not attracted to these lights. You can also switch off the light at the entrance in the nights. Keep your garden area dark in the night. The essential oil can be used to kill crickets and most common natural pesticides are thyme, clove oil, rosemary, and sage oil. Many pests cannot stand the smell of essential oil. Take a spray bottle filled with water and add few drops of essential oil eugenol which is a derivative of clove oil. Now spray the mixture around the corner, doors, window and anywhere you know crickets are dropping in your house. Earth is a non-toxic pesticide made by the skeletons of algae. It is harmless to human and pets. When cricket comes in contact with diatomaceous earth they got dehydrated. Cricket die due to dehydration. You can apply this remedy near the doors, window, and the moist area in the house or anywhere you know crickets are dropping. Please wear a mask while using diatomaceous earth because it can affect your respiratory system. Why do You Have Crickets in House? Like any other pest crickets also comes in your house for food and shelter. They can enter from the smallest gap or crack in your house. Crickets like to live in a cool and dark place. They can also hide behind furniture, inside papers, clothes and cracks in the wall. House cricket, field crickets, camel crickets are the most common type presents in your house. Many people like to listen crickets chirping in the moonlight while sipping a cup coffee in their garden. But cricket sound becomes irritating while you want to sleep. Crickets can also damage your clothes and papers. Many pesticides are available in the market to kill cricket. You can also prepare simple and safe natural home remedies to catch or kill crickets. Leave your feedback in the comment box.